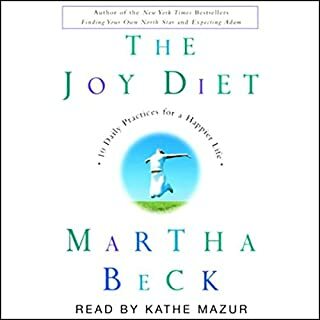 Martha Beck, the beloved columnist and lifestyle counselor from O, The Oprah Magazine, returns with a new prescription for personal fulfillment. 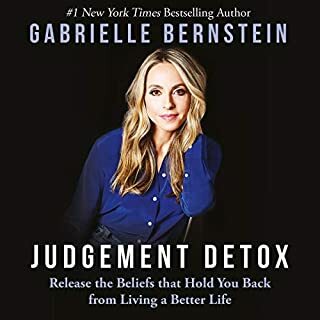 The Joy Diet shows readers how to add ten "ingredients" to their daily routine to change the course of their lives: to find purpose, overcome obstacles, heal wounds, and build dreams. In Excuses Begone! 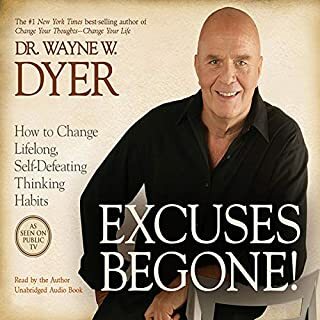 Dr. Wayne W. Dyer reveals how to change lifelong, self-defeating thinking patterns that prevent you from living at the highest levels of success, happiness, and health. You may know what to think but find it terribly difficult to change thinking habits that have been with you since childhood. This business of changing habituated thinking patterns is really the business of eliminating the same old tired excuses. 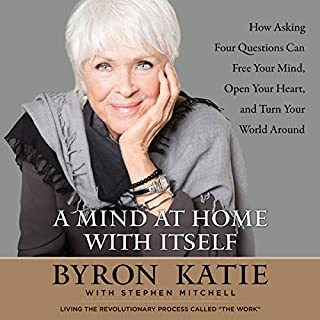 A pioneer in the field of behavioral science delivers a groundbreaking work that shows how finding your purpose in life leads to better health and overall happiness. Your life is a boat. You need a rudder. But it doesn't matter how much wind is in your sails if you're not steering toward a harbor - an ultimate purpose in your life. While the greatest philosophers have pondered purpose for centuries, today it has been shown to have a concrete impact on our health. How to Live a Good Life is a practical and provocative modern-day manual for a life well-lived. 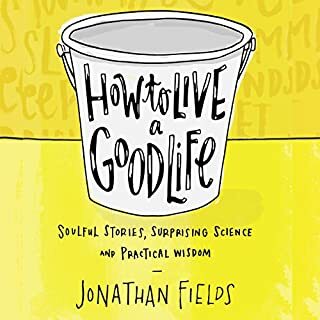 Drawn from the intersection of science, spirituality, and Jonathan Fields' years-long quest to learn at the feet of world-renowned masters from nearly every tradition, this book offers a simple, yet stunningly powerful tool for life. 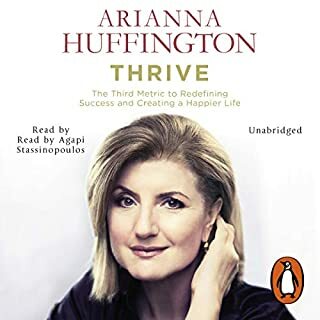 In Thrive, Arianna Huffington, the co-founder and editor-in-chief of the Huffington Post and one of the most influential women in the world, has written a passionate call to arms, looking to redefine what it means to be successful in today’s world. She likens our drive for money and power to two legs of a three-legged stool. It may hold us up temporarily, but sooner or later we’re going to topple over. We need a third leg – a Third Metric for defining success – in order to live a healthy, productive, and meaningful life. The path to your life's work is difficult and risky, even scary, which is why few finish the journey. This is a book about discovering your life's work, that treasure of immeasurable worth we all long for. It's about the task you were born to do. 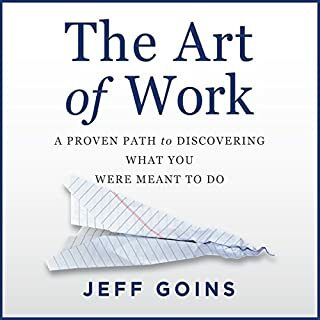 Through personal experience, compelling case studies, and current research on the mysteries of motivation and talent, Jeff shows listeners how to find their vocations and what to expect along the way. Too many unavoidable tasks bogging you down? 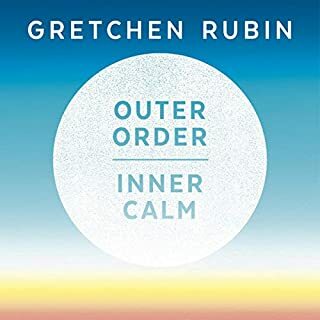 Reinvent your daily routine to maximize your "life momentum"
With visualizations, meditations, and relevant insights, Martha Beck guides you step-by-step through the process of changing the life you have now into one that will move you to the "true north" you are meant to travel. 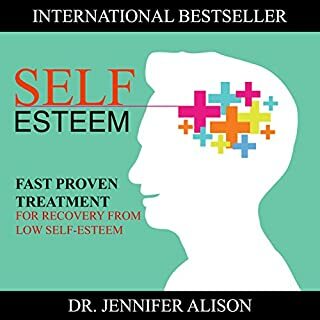 This book helped change my life! Finally I broke through! I cannot send enough love to Martha Beck for writing this book. It explained to me not only the stage I am (was) in but why I was feeling what I was feeling, and why things seemed way harder then they should be. The tools she offers here are life changing and absolutely amazing. 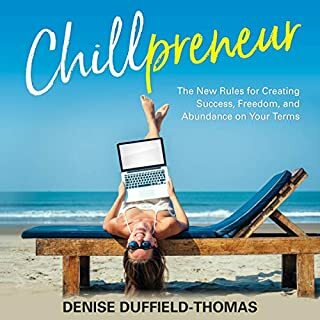 If you feel stuck or unsure about where you are going or working extremely hard but not getting anywhere this book will help you! 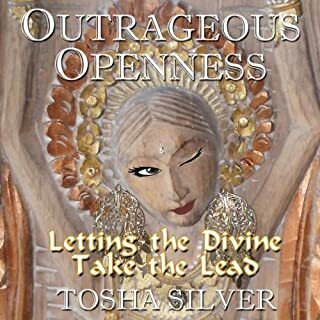 This is the first book by this author I have read, I have seen her before on Oprah. I will be reading all the other books by her! I hope this book can help you understand the mystery and much as it did me. a mix of metaphors but solid advice from an eastern philosopy. I enjoyed the journey and was helped. Another great book from Martha Beck! Been loving Martha's great sense of humour, insightful stories and encouragement as i follow my north star to my best life ever! It was like having a conversation with a friend! If you're listening in the car, there are multiple exercises you'll need to come back to doing at a later time and journaling about. But you can still listen through it as the exercises are ones she recommends you do often in life. My on going joke is that I don’t know what I want to be when I grow up. I’m 33. I have a child, 3 businesses and have been through a lot of loss this past year. Motherhood also has a way of throwing a creative seeker through a loop. If you have ever wondered “What the hell am I doing! ?” you will be in for a surprise. You can figure it out. Martha helps you get out of your own way and see a clear path to what the soul really wants. 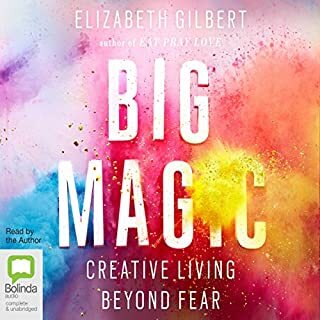 I will now recommend this book to every creative entrepreneur I know. It was the little bit of sunlight I needed. What did you love best about Follow Your North Star? I own this n paperback and bought the audio book so I could listen over and over. Martha really has something to say and this book gets me to break away from old patterns that aren't serving so well. I've gone back to it many times and made real changes around her suggestions. What was one of the most memorable moments of Follow Your North Star? Probably changing my story about a relationship I was in which took me in one direction and then something totally different. The true self only becomes destructive when it can't align itself with what is happening. I can't get enough of Martha Beck! Yes! I recommend all of Martha Beck's books all the time! This is a quick "read" and it gives you some concrete ways to get your life on track. She's very intelligent and funny and so likable! What does Martha Beck bring to the story that you wouldn’t experience if you just read the book? I am always thrilled to hear Martha Beck's words from her Martha Beck's own voice. She brings a level of personal connection into it. It feels as though she's sitting right there talking directly to me. beautifully expressed, very authentic messages from the author. 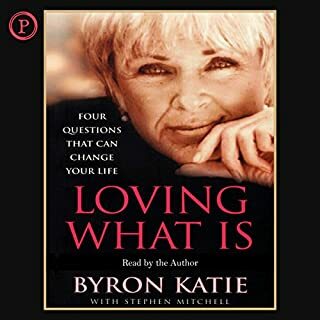 I enjoyed listening to this book this series of guided sessions, very much. I've been a long time fan of Martha Beck's but this book took it all to a whole new level for me. this is the 5th Martha Beck book I read, and for sure my favorite one. 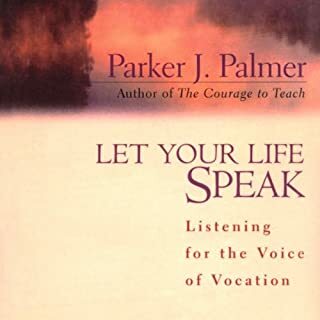 highly recommend it, especially the audio version since it was read by MB. 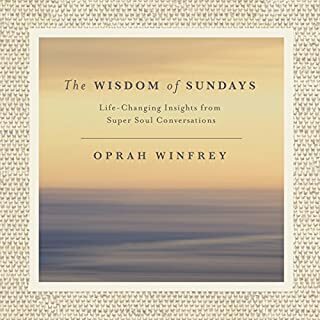 listening to the book feels like getting several free coaching sessions from her directly. 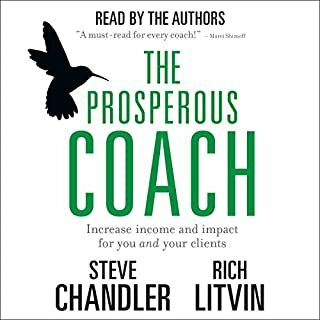 Really had a few ah ha moments listening to this insightful book. Ideal when you reach that crossroad moment of your life or when you feel you have lost direction. And just a thoroughly good book. Martha Beck gives us a powerful framework for understanding and navigating our own transformation. A must-read for anyone who knows they need something better in their livest but isn't sure how or where to begin. And she has wonderful sense of humour!!! One of my favourite books!! 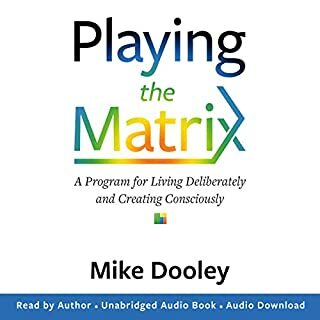 This Audiobook is a life changer. Martha Beck is like your own personal life coach right there in the room with you! Can’t recommend it enough. 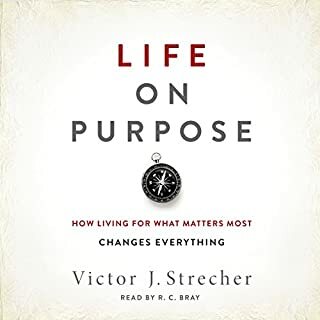 if you are struggling with finding your true purpose in life, this book will change your life. 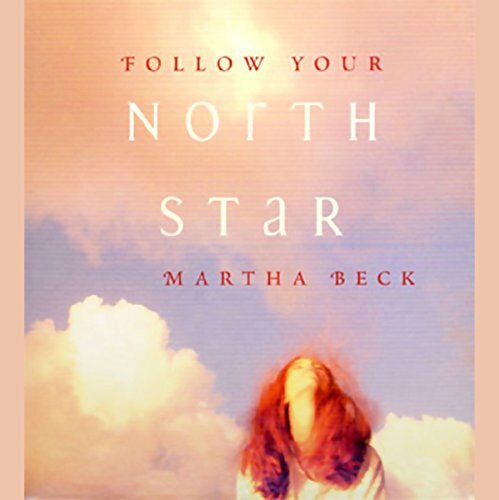 It is beautifully narrated by Martha Beck herself, it is incredibly helpful with exercises you can do to find your true North Star.